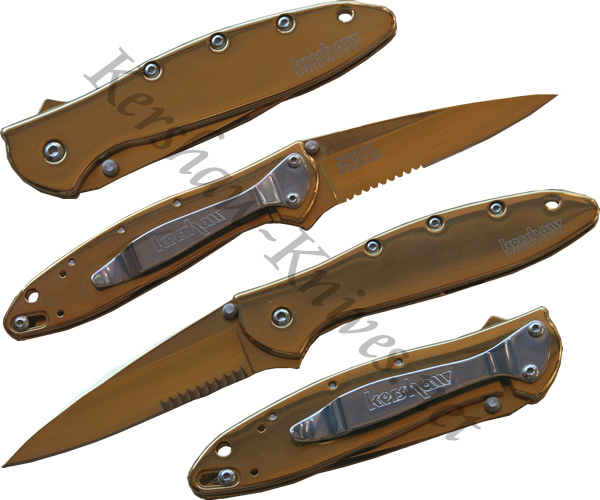 The Kershaw 1660GLDST has a partially serrated blade and a beautiful gold finish. The blade is made of Sandvik 14C28N and the handle of 410 staliness steel. The knife is assisted when it opens thanks to the Kershaw Speedsafe opening system. A pocket clip is how the knife is carried so that you can show it off on the outside of your pocket or on your belt.